Come enjoy the Pebble Creek pool! A short-course, Olympic-sized pool with five 25-meter lanes and a 12-foot deep end with diving board. In addition, the pool area includes separate male and female changing, showering, and restroom facilities. A separate building, known as the Shark Shack, offers food and refreshments. There is also a fenced-in baby pool area for the little ones. Tables, umbrellas and chaise lounges are provided for the members. Inquire about special memberships for those seeking a swimming experience. Pebble Creek has supported a swim team, the Sharks, since 1977. The Sharks swim in the Swimmers Association Invitational League where a swim season consists of five dual meets and one division-wide meet. The PCHM team generally includes 150 swimmers between the ages of 3 and 18. 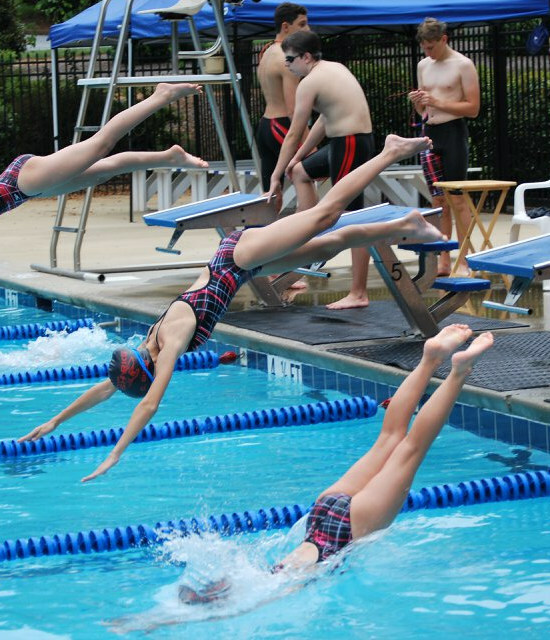 The swim team’s motto is: Fun, Fair and Fast. – Click the button below to follow the Sharks on facebook!